Living with pain is not always the only option. In situations where surgery is undesirable, Evia Medical provides a number of traditional and alternative medical techniques for addressing acute and chronic muscular and joint pain. Our goal at Evia Medical is to avoid the use of prescription pain medications and to help reduce the need for patients to use these potentially addictive drugs. Our medical and acupuncture team utilize non-invasive pain management techniques including trigger point injections, acupuncture, and other modalities in order to help manage pain induced from neurological, muscular, arthritic and tension/stress problems. We have found that for acute pain resulting from traumatic occurrences (e.g. muscle spasms, etc. ), the most dramatic improvement often occurs when treatments are initiated soon after the onset of the injury. However, our experienced team has had tremendous success in resolving various pain related issues regardless of when the injury occurred. Trigger point injection (TPI) therapy is an office procedure where the physician uses a small needle to inject a solution of local anesthetic, saline, and /or corticosteroid into the muscle. TPI is used for treating painful areas of muscles that contain trigger points (knots of muscle that form when muscles do not relax). TPI can be effective for treating fibromyalgia and tension headaches. In many cases, patients receive a course of TPI treatments over a period of time, but it is not uncommon for patients to see relief from their muscular pain after their first visit. 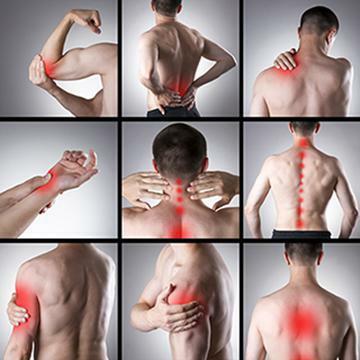 TPI can provide long-term relief for pain related issues. Our physicians often utilize a combination of TPI and other treatment therapies such as acupuncture to further reduce pain-related problems and to speed up your body’s healing process.